5 stars - "Epson Stylus NX127 All-in-one InkJet Printer with CISS" by Brandon , Written on 2012, 17:45/12/10 I decided to order a MFD and fixed my choice on this one. I didnвЂ™t make a mistake. The device pleased me with plenty of its advantages, including its low price, free delivery, fast CISS installation. Now I donвЂ™t worry about cartridges and I donвЂ™t need to spend sums of money for their replacement. With the CISS IвЂ™ve only to add sometimes the needed ink. 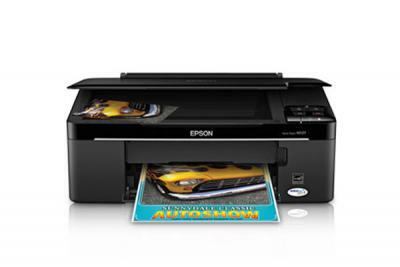 Buy Printer Epson Stylus NX127 with CISS and make 30 times more quality prints for the same money! 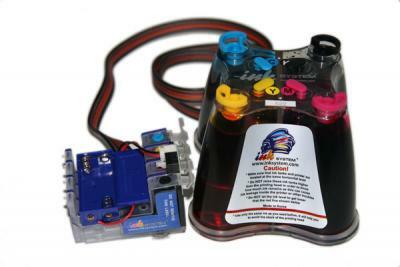 The manufacturers of printing equipment are not getting tired of satisfying us with innovative products of ink-jet printing for home and office. This time a well-known company distinguished itself by presenting a powerful device Epson Stylus NX127 all-in-one printer to let consumers be the judge. 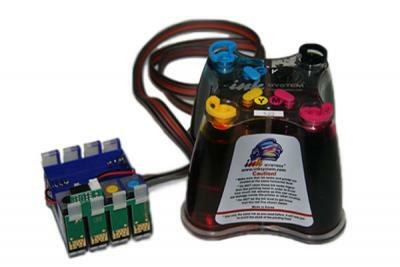 This model is able to print with a high speed, to copy with a good quality and to scan with a high contrast and high-resolution. But the main distinction of this device is that it is American, and like all the devices, which are manufactured oversea, have a variety of undeniable advantages. First of all, American printers are significantly cheaper than a European one. Secondly, they initially are intended for a more demanding and sophisticated American consumer. Thus, both the printing quality and the maintenance service level of such American printers is marginally better. MF 3 in 1 printer- it is conveniently, qualitatively and inexpensively. American printer Epson NX127 is distinguished for its compact dimensions and for its stylish surface. Epson's professional staff equally seriously takes into account both functional capabilities of the device, and its design. This MF will harmoniously fit into interior of your apartment or office. The printer is a rectangular shaped unit with a black surface. The absence of all kinds of small details guarantees the long life operation and reliability. MF Epson- it is stylish and practical! NX127, that combines printer, scanner and copier will serve both students and businessmen. This American device could not only scan with a high speed, but also save scanned documents in such popular formats, as PDF and JPEG, that facilitates their further usage. Besides, MF Epson stylus nx127 could make a slight correction of scanned artworks, that is why your copies will always be hardly distinguished from originals, whether they are color photographs or monochromatic text. The copier also provides a function of automatic scaling of the original documents in the range of 25-400%. The Epson NX127 printing speed also remains in a high level (14 sheets of A4 format for color printing per minute, and 28 sheets for black and white printing). All this, as well as a rather thigh resolution of the scanner, makes dealing with the device very comfortable and not dependent on other equipment, e.g. computer. American NX127 Epson is a multifunctional and self-contained device. When ordering Epson all-in-one printer NX127 or similar to it X130 on our site, you also will be able to take part in a special offer and become a proud owner of an American printer with CIFS system, that will allow you to reduce you printing expenses by 20 times minimum. 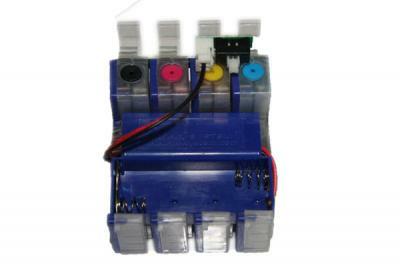 Besides, CIFS will protect you printer against minor breakages, connected with frequent replacement of consumable products, and in such a way, to prolong its operating life. I decided to order a MFD and fixed my choice on this one. I didnвЂ™t make a mistake. The device pleased me with plenty of its advantages, including its low price, free delivery, fast CISS installation. Now I donвЂ™t worry about cartridges and I donвЂ™t need to spend sums of money for their replacement. With the CISS IвЂ™ve only to add sometimes the needed ink.